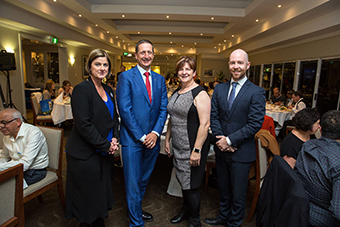 On Tuesday 15th August, SNPHN held an evening forum for GPs introducing the range of newly commissioned mental health and drug & alcohol services with over 100 GPs in attendance. SNPHN Chair Dr Magda Campbell set the scene for the evening and welcomed attendees. David Grant, General Manager of Commissioning & Partnerships introduced SNPHN’s new Mental Health Triage process and stepped care approach to mental health service delivery. The keynote speaker for the evening was Professor Ian Hickie, a psychiatrist and leading international expert on youth mental health. Professor Hickie spoke on best practice approaches to assessing and treating young people with or at risk of mental illness and highlighted the unique opportunity Primary Health Networks (PHNs) have to provide real reform in local mental health service provision. Feedback on the evening was overwhelmingly positive with many GPs impressed and the range of services available and noting the importance of early intervention for young people. Professor Hickie’s presentation was a particular hit with attendees. Videos of the presentations from the evening can be found on our website. For more information SNPHN Mental Health Triage click here.